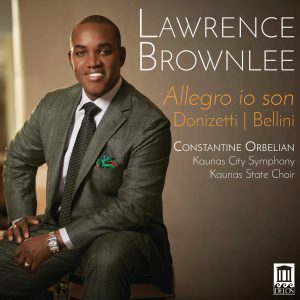 Pre-Order Lawrence Brownlee: Allegro io son! | Delos Music | Outstanding Classical Recordings for over 40 Years! 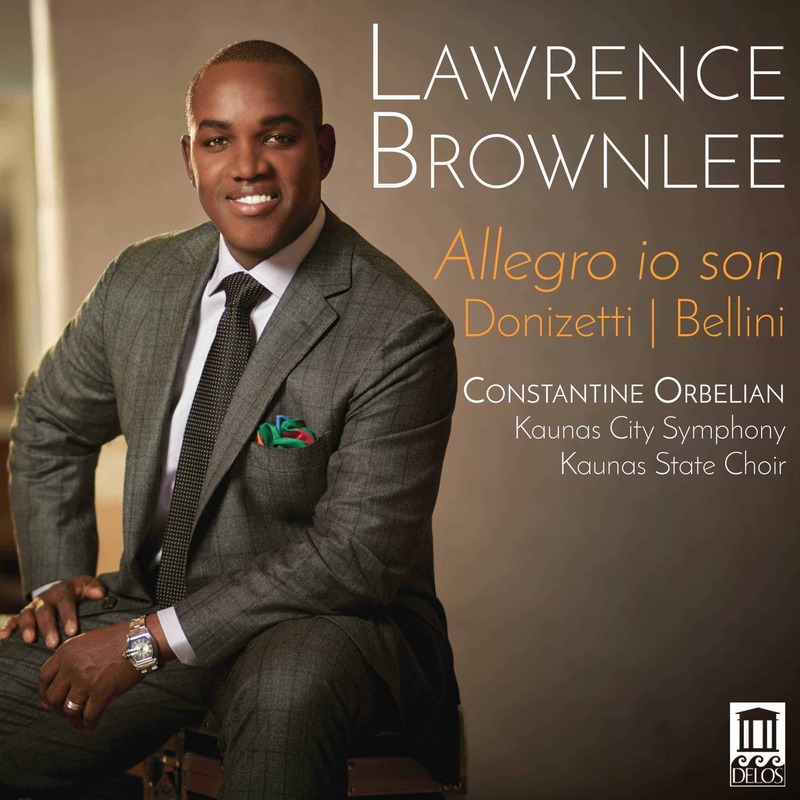 Pre-Order Lawrence Brownlee: Allegro io son! Tenor Lawrence Brownlee – overwhelmingly regarded as the world’s leading bel canto tenor – follows up his previous Grammy-nominated release on Delos (Virtuoso Rossini Arias) with this stirring and eagerly awaited new collection of opera arias by Gaetano Donizetti and Vincenzo Bellini. Brownlee performs a rich and exciting mix of both tried and true favorites as well as less-often heard pieces. Familiar favorites are from Donizetti’s Don Pasquale, La fille du régiment and L’elisir d’amore – as well as Bellini’s I Puritani. Lesser-known works featured are Donizetti’sRita, La Favorite, and Dom Sébastien.